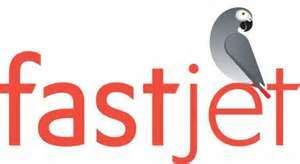 Home Unlabelled Fastjet to restructure its loss-making Fly 540 Angola and Ghana, aiming to increase shareholder value. Fastjet to restructure its loss-making Fly 540 Angola and Ghana, aiming to increase shareholder value. Fastjet, Africa’s low cost airline, has confirmed that as previously announced, two of its loss-making Fly540 businesses are being restructured with the objective of increasing shareholder value. The Fly540 businesses operate on a traditional airline model and not the fastjet low cost model. After a detailed evaluation of the potential of Fly540 in both Ghana and Angola, fastjet has concluded that, although these countries present very significant long-term opportunities for the fastjet low cost model, in the short term fastjet intends to fully focus on the considerable potential of opportunities in East and Southern Africa. As a key part of the restructuring, two group-owned ATR aircraft previously operating in Ghana and Angola have been taken out of service and are currently in the process of being sold. While a leased aircraft continues to operate in Ghana, the Angolan operation has been temporarily suspended, pending the return to service of two leased aircraft on completion of required maintenance. Further details on the restructuring of both 540 operations will be announced in due course. Fastjet interim chairman and CEO, Ed Winter, said: “Management has been carefully considering how best to restructure the Fly540 business which we inherited and this is a highly significant and very positive development in that process.